The electro star took to the social networking site to tell his tattoo artist girlfriend: "I can't wait for Christmas so... Katherine Von Drachenberg, will you marry me?" Deadmau5 posted a picture of a sparkling diamond ring and said: "Changing the diamond to black diamond FYI. Sorry for the jpg ... they'll finish the actual ring soon I hope." Reality TV star Kat - who was previously engaged to Sandra Bullock's ex Jesse James - then tweeted: "Please excuse me while I go squeeze the hell out of my fiance!" 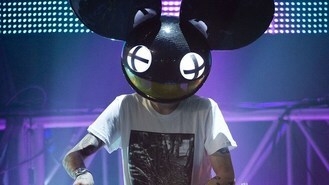 Deadmau5 thanked wellwishers and added: "Brb [be right back] while i spend the rest of my evening with my future wife."